With well pads, compressors, pipelines and hundreds of truck trips, fracking in our national forests would mean turning our most special places into industrial zones. We need to tell the BLM to stand strong against the oil and gas industry and protect White River National Forest from further development. Here are the dirty details: The BLM just released its draft analysis of 65 illegally issued leases in the Thompson Divide and nearby roadless areas on the White River National Forest. 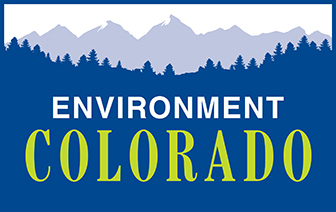 The agency's proposed action is good; it calls for full or partial cancellation of 25 leases inside the Thompson Divide and it would add protections for roadless areas in White River. The plan is a good step in the right direction, but BLM can and should do better. Sign the letter below asking them to cancel all the illegally issues leases in Thompson Divide and White River National Forest. Thank you for proposing to cancel some of the illegal leases in the Thompson Divide and adding important stipulations for roadless areas. However, BLM should go a step further and cancel all of the leases at issue in this analysis. Canceling these leases is the only way to fix the hasty issuance of these leases and protect one of Colorado’s most beautiful landscapes--White River National Forest. The existing leases fail to adequately protect the places I cherish, including the Thompson Divide, undeveloped aspen forest areas, bountiful wildlife, and beautiful rivers and streams. Please cancel all leased drilling sites, and protect Colorado’s forests. Thank you.